Kevin Durant has been virtually unstoppable lately. And by lately we pretty much mean since he entered the league in 2007. How hot is he right now? He’s averaging just over 37 points a game in the last 10 games. His torrid play has earned him a new nickname, courtesy of the Internet. That nickname? The "Slim Reaper." OK, so KD it is. But Slim Reaper is pretty cool. 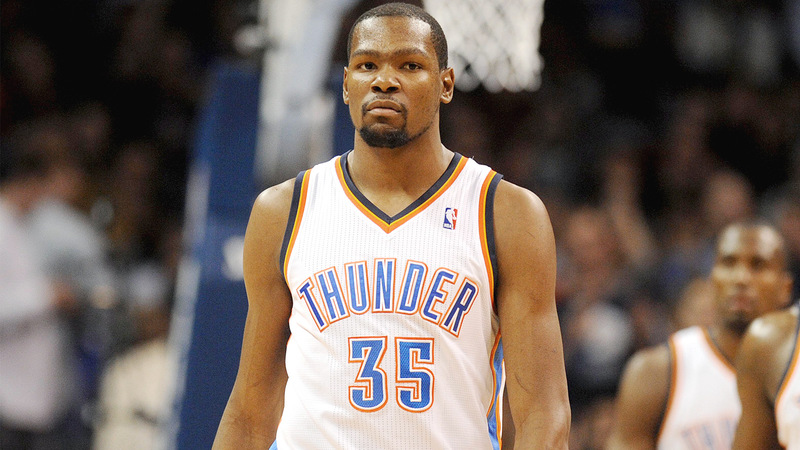 I like KD better RT @BuatsRovert: @KDTrey5 thoughts on slim reaper as a nickname?